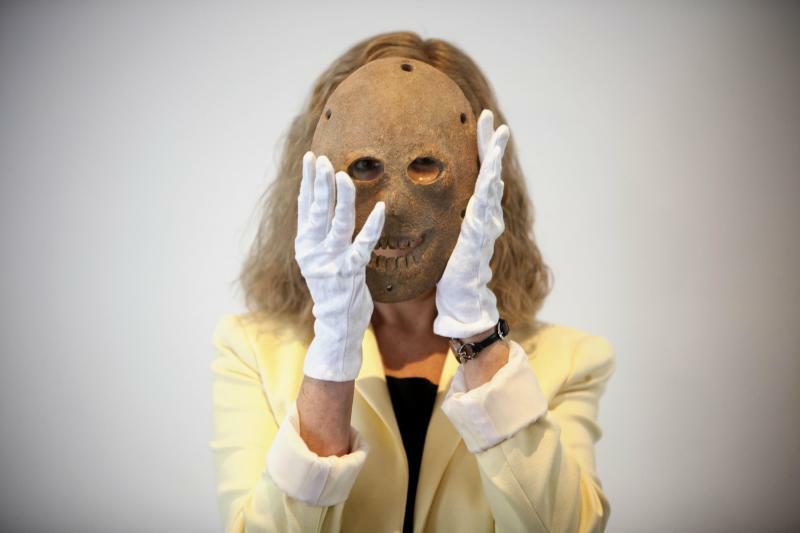 JERUSALEM (AP) — Until Tuesday, if history buffs wanted a glimpse of the Israel Museum's vast collection — including a 9,000-year-old carved human face found in the Judean Desert — they would have to travel to Jerusalem to see it. 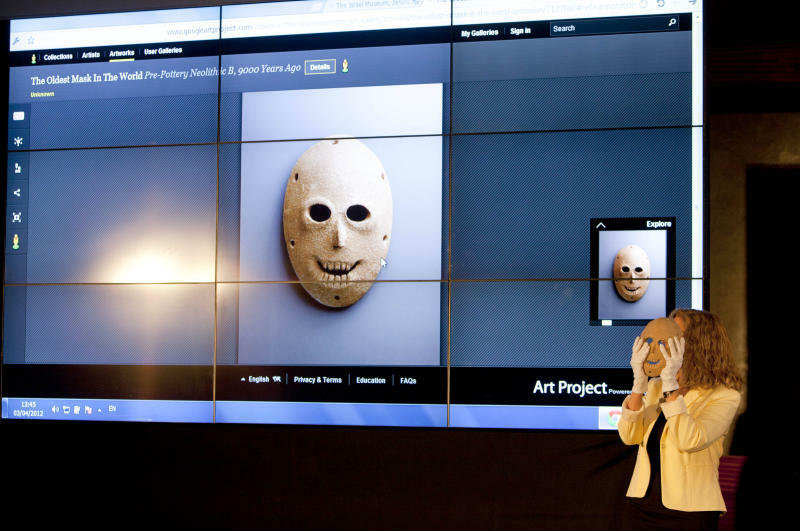 The mask is just one of 520 objects made available as part of the museum's partnership with the Google Art Project, an online compilation of high-resolution images of artwork from galleries worldwide, as well as a virtual tour of the museums using the high-tech giant's Google Street technology. The Israel Museum was among 151 museums in 40 countries taking part in the second wave of the project on Tuesday. It was first launched last February in just 17 museums, including the Tate Gallery in London, the Metropolitan Museum of Art in New York City, the Uffizi in Florence, the Art Institute of Chicago and the Van Gogh Museum in Amsterdam. 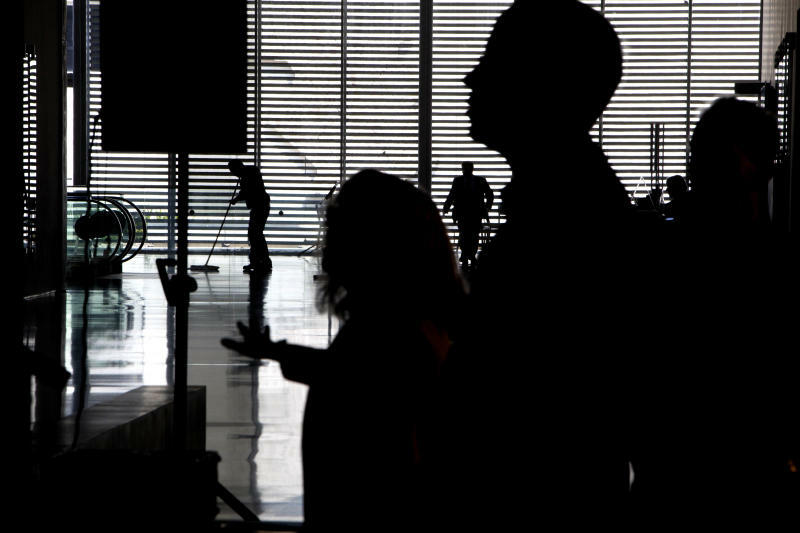 "We can take the experience of our Israel Museum worldwide, we can give people far away who will never get here a chance, palpably, to feel what this place is about and we will give plenty of people who plan to come here an advance opportunity to get a handle on what this experience is about," said museum director James Snyder. Other items included are the interior of the 18th-century Vittorio Veneto Synagogue in Italy, Claude Monet's famous "Water Lilies" painting and the Bronze Medallion of Titus — a rare coin that depicts the Colosseum in Rome. The project follows last year's collaboration with Google to make the museum's famed Dead Sea Scrolls accessible to all online. The site drew a million viewers within a few days by allowing the public to explore these ancient biblical texts in greater detail than what was possible in person. The Google Art Project creates a similar experience. With images larger than a gigapixel (1 billion pixels) in size, the zoom-in feature allows viewers to get inside cracks in the parchment and other details that are not visible to the naked eye. For instance, in Peter Paul Rubens' masterpiece "The Death of Adonis," the technology allows the viewer to focus on a tear on the cheek of Venus that isn't obvious when facing the actual piece. But Snyder said the virtual viewing would not detract from an actual visit to the museum. On the contrary, he said. "It just makes your museum experience less daunting, it opens you more to what the experience can do for you," he said. "It begins to allow you to develop familiarity not just with an image but with context." He lauded Google, which spent months mapping the museum with cameras mounted atop bicycles. More than 30,000 high-resolution objects from museums around the world are now available for viewing, up from the original 1,000 when the project was first launched. Items can be found by location, artist, collections and more. "Connecting the content of the world to users, that is part of our mission," said Yossi Matias, managing director of Google's R&D Center in Israel. "The resolution of these images, combined with a custom built zoom viewer, allows art lovers to discover minute aspects of paintings and other objects they may never have seen up close." The project is just the latest in a long line of collaborations between Google and Israel. The tech giant has a large R&D center in Israel, has purchased several Israeli startups. Google has also teamed up with Israel's Holocaust memorial, Yad Vashem, to make its photographs and documents interactive and searchable on the Internet. Yad Vashem also launched a YouTube channel, in collaboration with Google, with more than 400 hours of original video footage from the landmark 1961 trial of Nazi mastermind Adolf Eichmann.